3.5" XM-18 Bowie Blade Flipper from Hinderer knives in grey textured G-10. Rick Hinder is famous for his XM series of folding knifes and this bowie blade flipper is no exception. 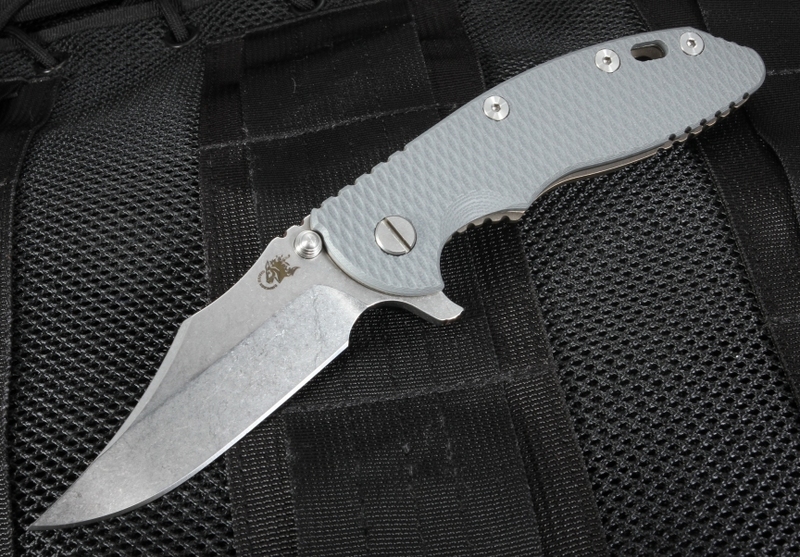 Blade is superior quality American made CPM S35VN steel with a fine stone wash finish. 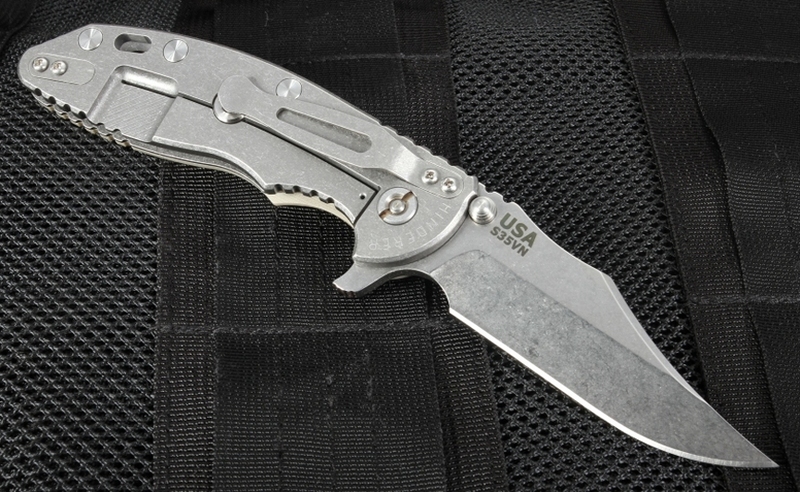 Integral flipper as well as double titanium thumb studs make opening this XM-18 simple with either hand. Bowie blade shape functions as well as it looks. 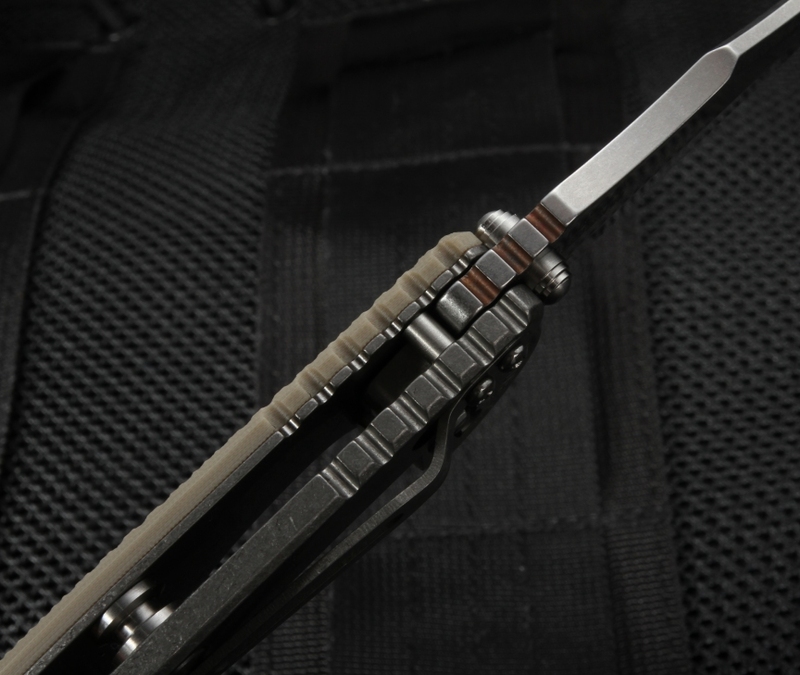 XM-18 handle is constructed using the highest quality aerospace grade titanium along with textured G-10 that provides amazing grip. 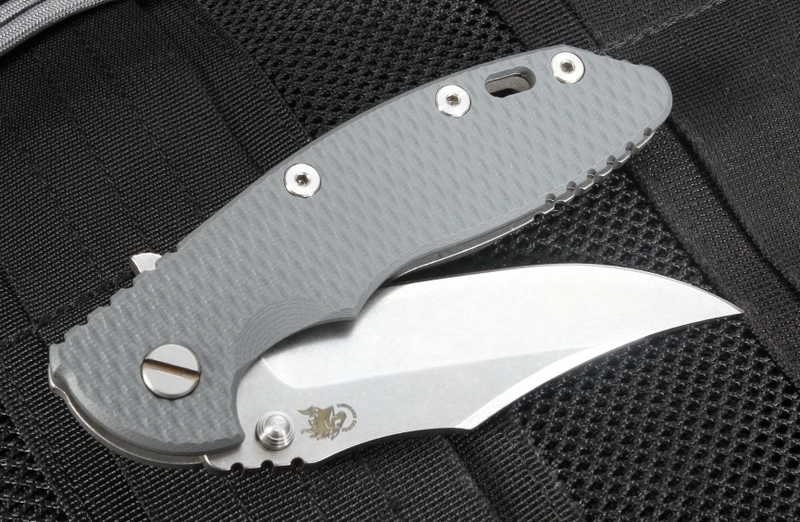 Frame lock utilizes the Hinderer lock bar stabilizer to prevent overextending of the lock. Lanyard hole in the rear section of the handle makes adding your favorite knife lanyard an easy task.